Merry Christmas! This week the crew celebrates with an all-Soca Parang mix, including favourites and new releases for 2013. 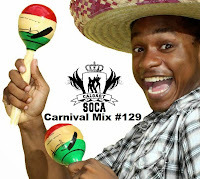 Join Carrie and Anthony, while Drew Atlas delivers the mix Enjoy!